So, how much songs can your smartphone or tablet hold? Several thousand, perhaps? That is nothing compared to the massive audio collections that the streaming music services can offer. Best of all, most of them have a mobile app that you can use on your iPhone or Android device. And in exchange of a monthly fee, you will be able to have any song you feel like listening to streamed straight to your handset. Here we have for you our 5 favorite mobile music services that can be used on an iPhone or an Android smartphone. Some of them you can even check out for free, so do not hesitate to get them and see what streaming audio is all about. Of course, if you think that there is a service that we should have included in our list, just drop us a comment. Spotify has been around for more than a few years now, but it was only last year when it was finally made available in the U.S. too. In exchange of a $10 per month subscription fee, users can listen to all the music available on Spotify: streamed straight to their iPhone or Android smartphone at 320kbps. Think of Pandora as an online radio that plays only the music you love. Just pick an artist or song and the service will automatically compile a playlist with similar songs. Pandora can be used for free, but for $4 per month you can have the ads removed and you will have fewer interruptions. Also, the bitrate of the streamed audio gets increased. 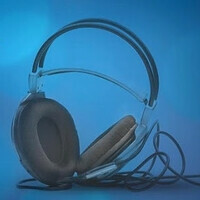 Rdio is an audio streaming service with a social twist. You can keep track of what your friends are listening to, but you can also look for other people with great taste for music. Of course, you get access to the Rdio database, which contains over 10 million songs and counting. Using Rdio costs $15 per month. What makes Grooveshark special is that it is available worldwide, not just in a few select countries. Also, if you do not want to or cannot download the dedicated Grooveshark app, just listen to your favorite tunes using the service's web browser interface. The premium Grooveshark Plus subscription costs $9 per month and removes advertisements, while the $9 per month Grooveshark Anywhere subscription provides unlimited access to the mobile Groovesharp app. With a library of over 14 million songs, chances are that whatever you feel like listening to will be available on Rhapsody. You are free to try out the service for 14 days, and if you are happy with it, a monthly subscription will cost you $10. There is a $15 premium monthly subscription, which allows for one Rhapsody account to be used on three devices at the same time. Can I download songs using any of these apps and keep them on my phone so I can listen to them without using any data connecting to the cloud? I think Spotify does that but I don't think you have any real control of it. Unlimited data is my friend. yeah, you can have offline access. you just have to opt for it in your playlists. Best = a fee. No thanks. I totally agree with you @GuiltyBystander. Goodluck with that one. Are not the carriers milking the masses enough? I don't see people paying for the service. rhapsody is the Way to Go !! WHAT! NO SLACKER?!?!? I have slacker and spotify, and I can tell you slacker is the best. I had Pandora, but it didn't offer as much as the other two for the money, so I got rid of it.